Well articulated letters, each a replica of a real wax cast, conjure history within their form. 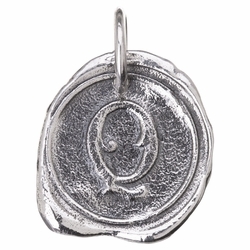 Simple and elegant, the Round Insignia Charm is a Waxing Poetic favorite. 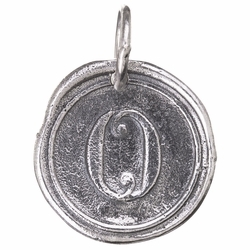 It has a classic look with serif letters in every letter of the alphabet. 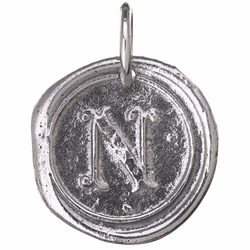 Each letter charm is unique in shape. 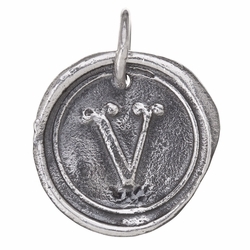 This charm is a good match for the Medium Rolo Chain.